Sinkevich, whose inspiration comes mainly from the urban landscape of a modern city, told us that this design was born pretty much the same way most of his knife designs are born: he was doing something (in this particular case, attending a seminar), and needed something to keep his hands busy. Hence he started to draw a knife, trying to design something fairly compact but nonetheless sturdy. He named it 'Pole' because the pattern of the milling in the handle is similar to the meridians converging at the Pole. Unlike previous models created by the Belarusian designer which feature sleek and slender shapes, the 0456 appears much larger. The blade, 83 mm long and 4 mm thick on ricasso, presents a slightly curved cutting edge which ends with a truncated tip and is characterized by a particular swedge which extends for almost the entire length of the blade itself. The profile is decidedly original and hardly traceable to traditional blade types (could be considered a sort of modified sheepfoot), thus giving a futuristic style to the entire knife. The steel used in the current production is the CPM-20CV, whilst in the first batch (such as the model in our possession) the CTS-204P has been used and hardened to 60-62 HCR with two different surface finishes: stonewashed on the flats and satin on the grinds. The CTS-204P, which can be considered the response of the American Carpenter to Bohler-Uddeholm's M390 steel, is a steel produced by powder metallurgy with Micro-Melt® technology which, together with the alloy components (particularly rich in carbon , chromium and vanadium), creates fine and homogeneously distributed crystalline grains that give the material excellent wear and corrosion resistance, combined with an equally excellent toughness and incredible cutting edge retention. The blade rotates in a very smooth way on ball bearings with KVT technology (Kershaw Velocity Technology). The opening – mindful of the absence of a thumb stud - is performed exclusively via the flipper, well sized and equipped with jimpings to improve grip. The decorative pivot, adjustable through Torx screw, is truly original in both form and in its electric blue colouring which is obtained with a PVD treatment. The blade abuts on the stop pin which, both in the opening and closing position, ensures it is placed in special recesses made on the tang of the blade itself. The locking mechanism is a frame lock type and is formed on the sturdy titanium frame that, at the point of greatest thickness, reaches 4.8 mm. As is usual for high quality titanium made knives, and also in this model, the Zero Tolerance has applied a steel insert - installed concealed on the lock spring - to act as an interface with steel blade tang, that at the same time performs the function of preventing the hyperextension of the flat spring during blade unlocking. The handle is entirely made of titanium and has an elegant rows texture , with two different patterns, worked on both sides. The only screws present, in addition to that fixing the insert on the lock spring, are the two that hold together the two frames through a pretty blue anodized aluminum backspacer (which extends for almost the entire length of the handle) and, from the opposite side, the two screws that secure the pocket clip, which is also of the same color that matches that of the pivot and of the spacer. The handle, despite having a reduced length, is very comfortable having regard to its amplitude and rounded edges; on the whole it conveys a feeling of solidity and strength to the entire instrument, which is certainly not among the lightest in EDC category (its weight is about 180 g). Part of the weight can be attributed to the robust frames that, despite being made of titanium, are devoid of internal lightening milling and have a thickness and width such as to greatly contribute to the overall balance, in which clearly the massive and thick blade gives its contribution. The steel pocket clip, equal to that employed in the ZT0450 model but in this case embellished by the intense blue coloration, is well dimensioned and properly retains the knife in position. It can also be placed in an ambidextrous configuration but only in tip-up position. As usual for the knives which are in daily use, we tested the 0456 model at a qualitative level, by performing cutting tests on various materials (paper, cardboard, ropes of various types and diameter, car safety belts, etc. 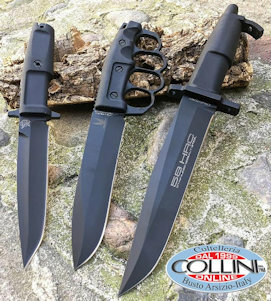 ); as always when it comes to Zero Tolerance, the factory sharpening proved to be flawless and the blade turned out to be very effective, with ample flat grinds extremely functional in the slicing performance and a resistant tip. Overall, the 0456 model, as all the products marked Zero Tolerance, is made with amazing finishes and mechanical couplings, with the blade perfectly centered between the frames and a locking mechanism made in a workmanlike manner that does not confer any kind of blade play. 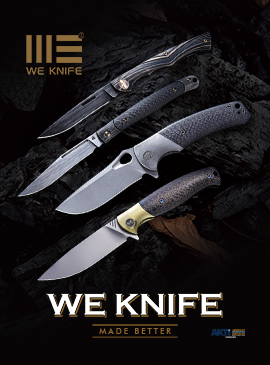 With this model, the Zero Tolerance show off a stunning and unique design signed by one of the top designers, all combined with technology, efficiency, robustness and usability that are the strengths of the prestigious brand from Tualatin.